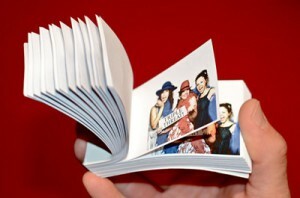 Photo Flip Books a new trend for events! Check it out! Posted January 28, 2014 by DJ Billy Bee & filed under Uncategorized. Photo Flip Books are a new hot trend at weddings and other events. They can make totally different type of favor for clients who are tired Photo Booths. Does this sound like something you would like at your next event? Let us know what you think.